I had never seen a harpsichord in real life. The harpsichord was an instrument in Europe in 16th and 17th centuries. Due to the appearance of the piano, now it's difficult to find the harpsichord in our daily life. However, at least for me, the sound of harpsichord was so familiar because there were some of Bach's songs recorded with the harpsichord. Plus, it also sounded like the instrument you would hear when you watch a Renaissance-themed movie. To give you an idea, the harpsichord has a similar sound to the organ does, but it's softer. You can check out this link to listen to a Sonata played with a harpsichord. 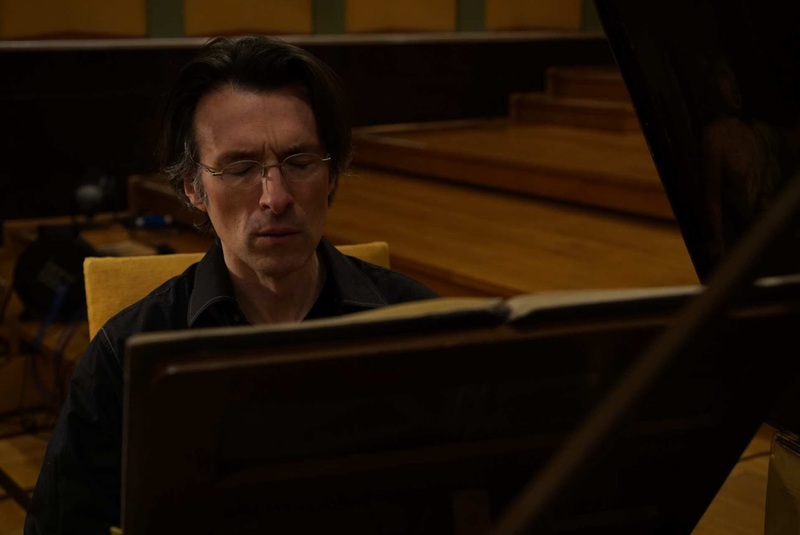 He is a Belgian harpsichordist and also a professor of harpsichord at the Royal Conservatorium of Brussels. His life has been always with the harpsichord from the age of 12. 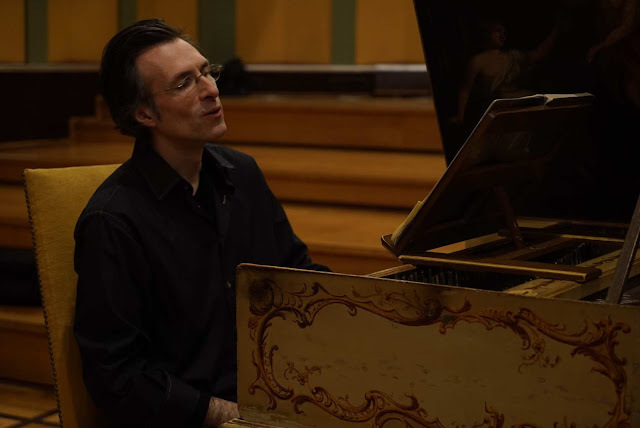 As the harpsichord was an instrument of the Baroque period, Frédérick Haas played 2 representable composers and harpsichord players of the Baroque period - Johann Sebastian Bach & Domenico Scarlatti. These composers were born in the same year (1685), but their styles of composing were very different. I could clearly distinguish which was Bach's and which was Scarlatti's. Bach's music was melodious and monotonous. On the other hand, Scarlatti's music was more various, bouncy and bubbly. At this concert, the performance by Frédérick Haas of Scarlatti was by far my favorite. You can check out what he played at the concert and find them online to listen to. Speaking of the venue, Flagey Studio 1, I was a bit disappointed. 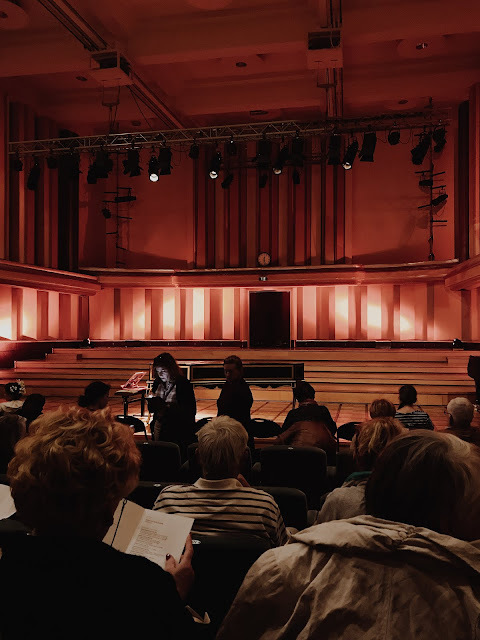 When the player, Fédérick Haas, came to the stage and started the concert, I noticed the studio was not really suitable for the instrument in my opinion. I was seated at the back of the small studio where fits 156 seats and I found that the sound didn't really resonate well in the studio. To be honest, it felt like listening to some music with my earphones but at a much lower volume than normal. The play itself was amazing but I was a bit disappointed in this area. Nevertheless, the harpsichord intrigued me to discover more about this mostly forgotten instrument. I hope next time they would remember a more suitable location. So I can enjoy to the fullest.